Can Anyone Lead for Inclusion? Can anyone lead for inclusion? 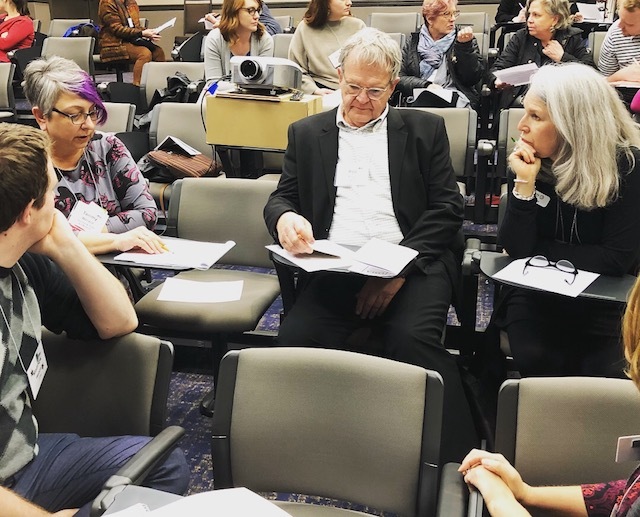 That was the question CMA’s Manager for Public Safety and Gallery Experience Mindy Galik and I posed during our roundtable presentation and discussion at the annual Ohio Museums Association conference, which took place this year in Dayton from April 14-16. Museum professionals and students from all over the state came together to learn from each other, connect with colleagues in the field, and enjoy six Dayton museums through group exploration and behind-the-scenes tours. 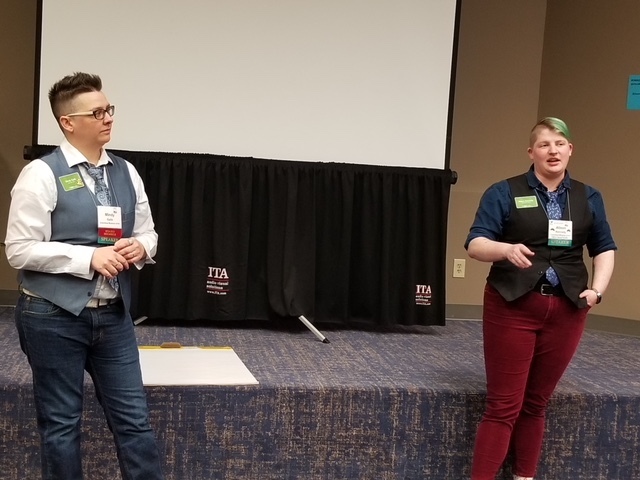 Equitas Health Institute kicked off a preconference workshop on serving the LGBTQ community with cultural humility and structural competency, providing resources and starting great conversations between participants. Speaker Ramona Peele highlighted the importance of asking questions, continuing education, and remembering that there is always more to learn. Equitas Health’s presentation on serving the LGBTQ community was a great precursor to our session the following day: “Can Anyone Lead for Inclusion? Gender Inclusivity at the Columbus Museum of Art.” We shared lessons learned from the museum’s recent addition of gender pronouns to staff name badges and steered conversation amongst participants about how to create change in their own institutions. After telling our story of struggle, mistakes, and triumph, Mindy and I asked two questions of our audience: “Why do good ideas often die?” and “Who needs to be at the table?” Participants broke out into small groups, discussing their own challenges and writing down their ideas on post-it notes. The big takeaway: change happens slowly, but small efforts have large impacts. Presenting a session brought the great things happening at CMA to the attention of the rest of the Ohio museum community and has inspired potential partnerships between professionals in the Columbus area. The Ohio Museums Association conference provides a lovely opportunity to build relationships between people and institutions in the state of Ohio. – Alison Kennedy is Gallery Associate Team Captain, and Mindy Galik is Manager for Public Safety and Gallery Experience and an OMA Board Trustee.